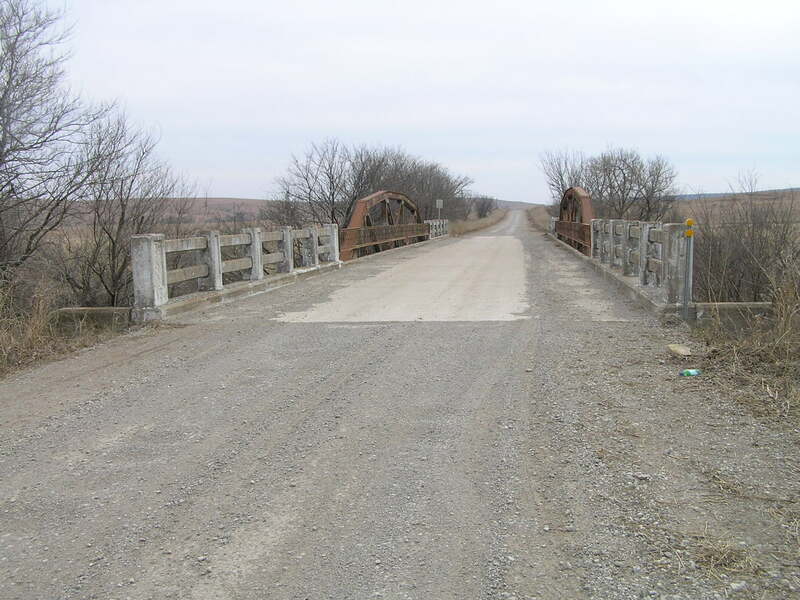 This old alignment of US 60 has always been gravel, and this bridge, built in 1930, served the US highway until the route was realigned in 1936 Above, is a view looking through the span. 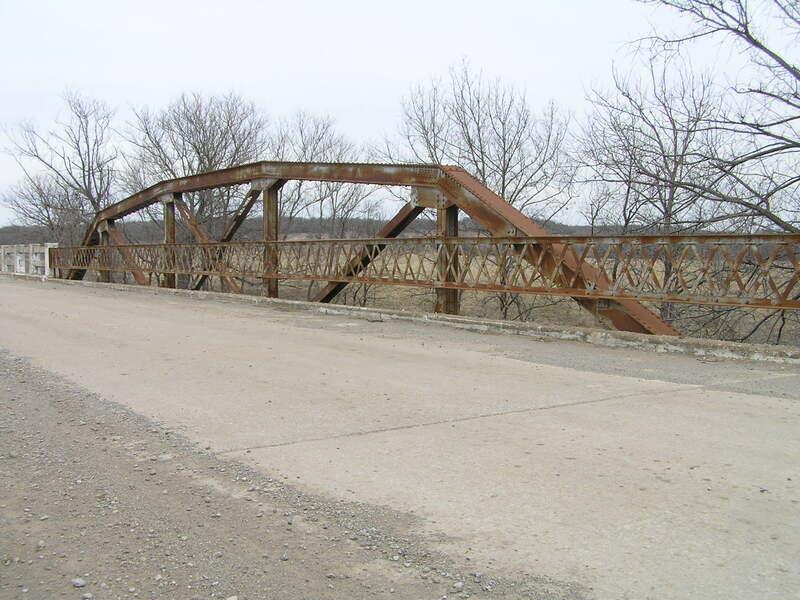 It is an 80-foot standard Parker pony truss flanked by steel stringer approaches. The truss and approach spans still retain their original railings after 80 years. 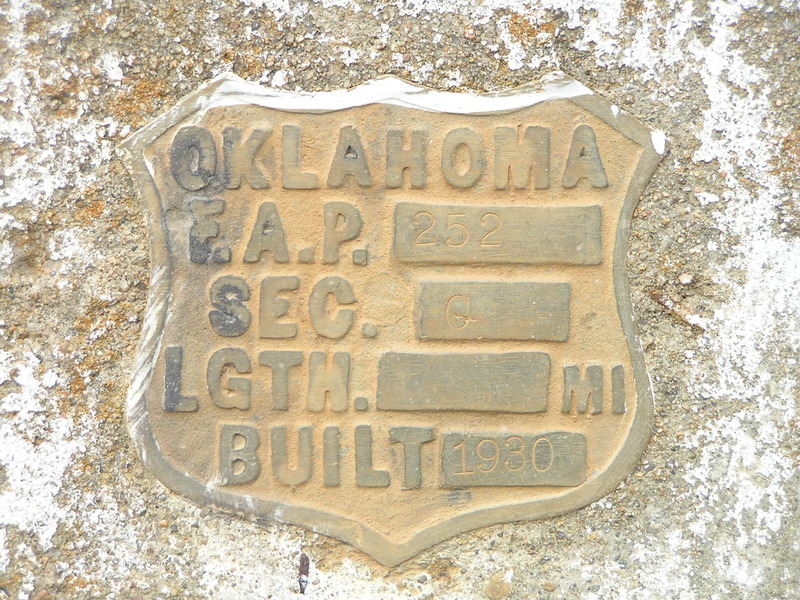 Below, the FAP plaque which is mounted at both ends. 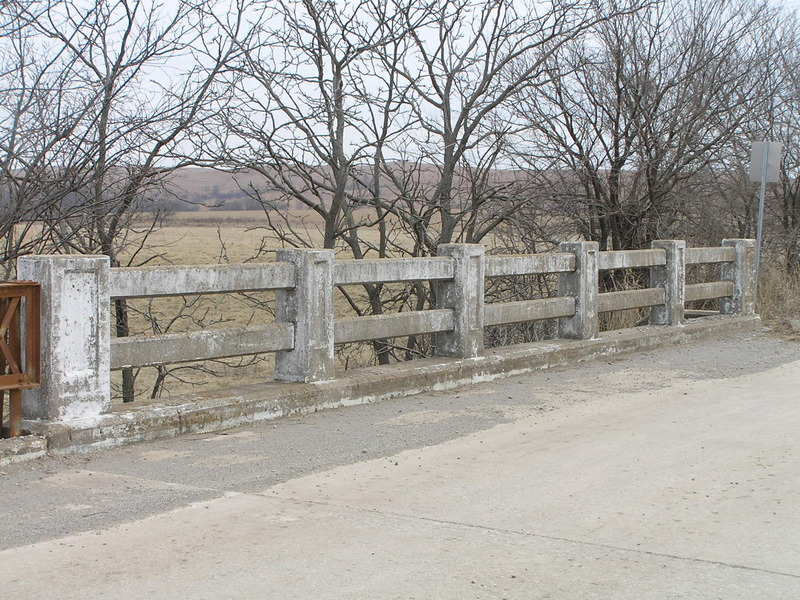 Above, the original concrete railing, which we generally call "fence" style railing. Note the panel detail in the posts. Below, the pony truss as seen from the deck. 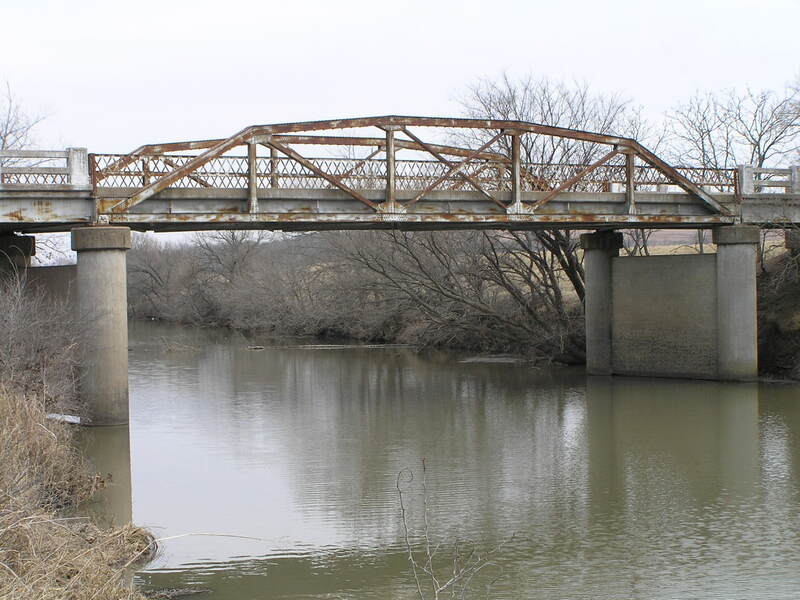 Above, a side view of the truss span. Below, a view of the truss from an elevated position. 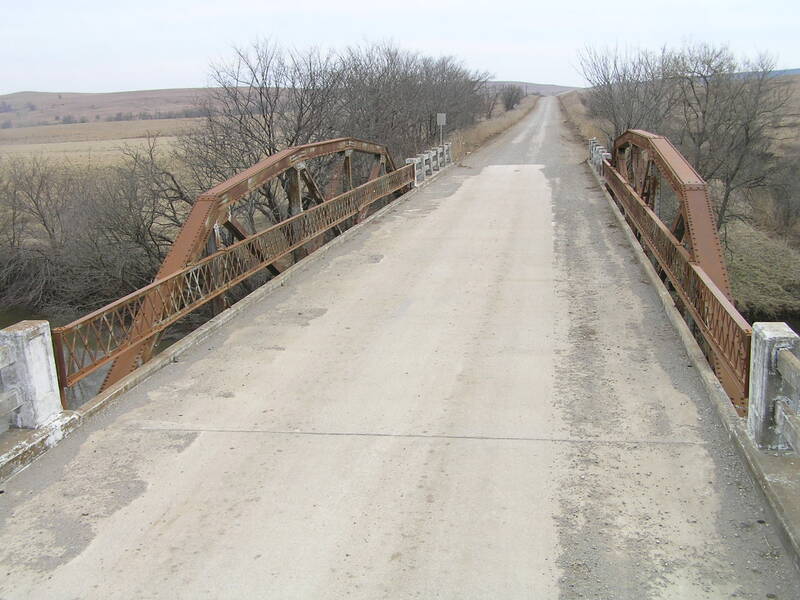 It is odd that this bridge saw only 7 years of service, but this does mean that this section got preserved as a snapshot of what highway bridges & roads were once like.